As an annual or bi-annual crop, Hemp is a renewable resource that can provide for fibre and cordage. If petrol becomes extinct, so do synthetics like nylon, made from the by-products of petroleum, and we will possibly then be obliged to return to traditional renewable resources, like hemp. Hemp cloth is softer and warmer than cotton and has 3 times the tensile strength. It is many times more durable and does not harbour bacteria, which makes it a very good plant for the health industry. Hemp does not require the amount of pesticides and chemicals needed for cotton. Properly grown hemp can have a beneficial use for soil structure because of it deep root system and production of biomass. China, Russia, France and Chile are the world’s largest hemp producing nations. Paper made from hemp is stronger and less likely to tear. It has more wet resistance than wood pulp and is 7 times as recyclable. It is also grown from an annual plant thus saving forest resources. It can produce a wider range of papers, whilst only using a fraction of the dangerous chemicals. No dioxins are produced and less energy/water used. Cannabis can be mixed with other fibre pulp for strength eg, Wheat, bagesse, kenaf etc. Hemp produces many times the cellular fibre of trees and is perfect for hemp bricks, concrete framework and particle board, it is very long lasting and highly flexible. It can also be combined with lime for bricks or infill walls. See below for more on this building technique. 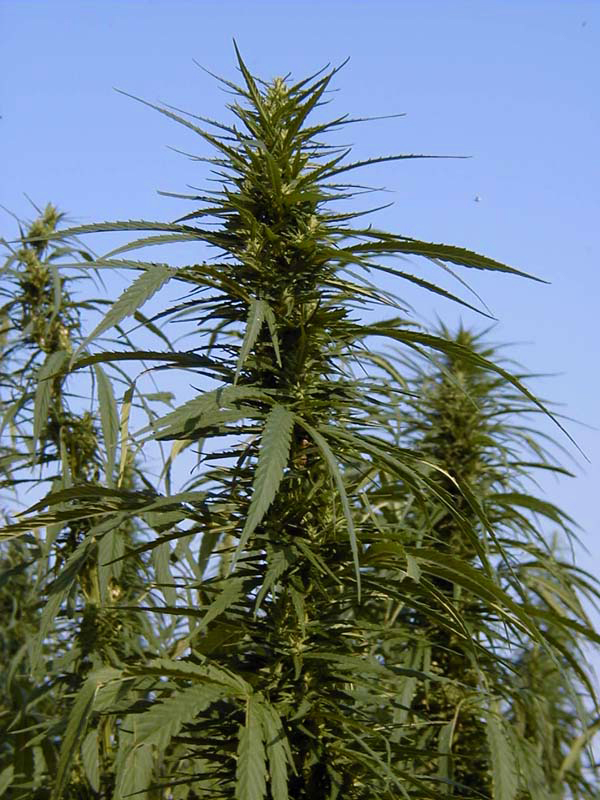 As Henry Ford found – Hemp produces far more biomass suitable for conversion to methane than almost any other plant. This renewable biomass fuel contains no sulphur and whilst growing helps remove CO2 from the atmosphere via photosynthesis. The Cannabis hemp seed is a complete source of easily accessible protein. It is available in the form found in human blood plasma, the fluid portion of blood that supplies nutrients to tissues. Hemp oil can be made from the seeds too. Most countries allow the sale of Hemp food products, but not Australia. Until the 19th century about 80% of all rope and twine was made of hemp until replaced by synthetic petro-chemicals. 90% of all sails were made from hemp. The word canvas derives from a Greek word for Cannabis. In Britain in the 17th and 18th Centuries it was law that all farmers sow 10% of all arable land to hemp. For hundreds of years all good paints and varnishes were made with either hemp or linseed oil grown specifically for that purpose. This use has been almost totally replaced by petro-chemical derived oils. Hemp’s inner hurds yield industrial cellulose which is an excellent basis for plastics and glues.